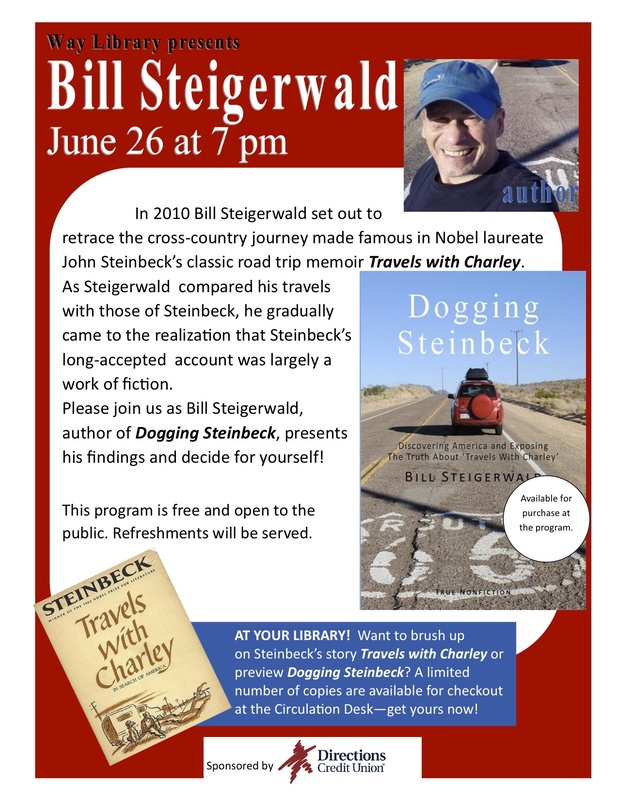 Currently viewing the tag: "Way Library"
My debut solo speaking performance on behalf of my book “Dogging Steinbeck” occurred without a hitch or a lawsuit Wednesday night in the lovely Toledo suburb of Perrysburg. 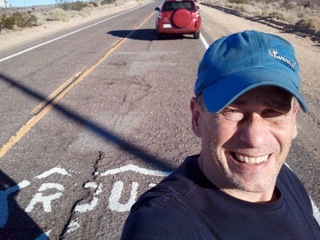 Thanks to the promotional efforts of Richard Baranowski of the Way Library, I was written up nicely beforehand by Arielle Stambler and in a local paper by Baranowski. About 60 multi-diverse humans attended, all lovely, all eager to learn about how I discovered that “Travels With Charley” was a literary fraud. No one threw anything or even booed. And 12 people forked over real money for my book. On Wednesday June 26 I’ll be in the Toledo suburb of Perrysburg to appear live at the Way Library. 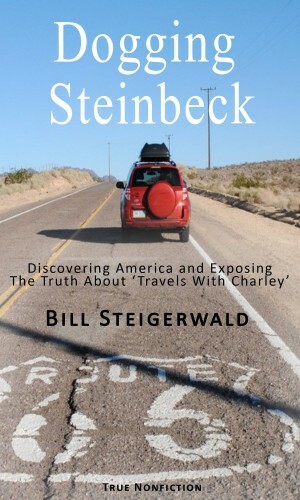 The Toledo Blade will do a big story on me and “Dogging Steinbeck” on Sunday, June 23.